BT is following in the footsteps of Virgin Media's recent campaign to educate consumers about P2P downloading and going a little further - in that, BT is actually threatening its customers with disconnection from the internet should they be found to be illegally sharing copyrighted music over peer-to-peer (P2P) networks. The Register reports that BT emailed a customer recently "alleging that she had illegally participated in a network sharing of Biology, a song by Girls Aloud". Geoff Taylor, boss of music industry trade body the British Phonographic Industry (BPI), told The Register: "Establishing partnerships with ISPs is the number one issue for the BPI, and we are beginning to form positive working relationships with BT, Virgin Media and most of the other major ISPs." Taylor added: "Everyone agrees on where we need to be, and we are working closely with our colleagues across the music community, the more progressive ISPs, and government to get us there." The BPI provided BT with the evidence to send the letter to the above-mentioned customer – which was proof that an Ares P2P client was installed on her computer, a timestamp, a file name and an IP number. BT's letter to her reads: "I have received a complaint regarding one of our customers offering copyrighted material over the internet. On investigation, I have found that your account was used to make this offer." The Register reports that BPI investigators "are simply able to collect lists of IP numbers participating in copyright-infringing P2P networks and trace which operator they belong to. 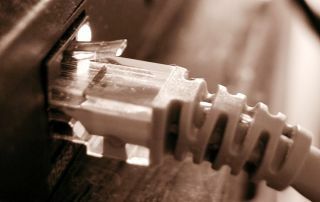 "Assuming the ISP has agreed to do so, it can then identify the individual account holder without sharing personal information with the BPI." The BT letter 'recommends' to the user that she check her Wi-Fi connection is secure, she removes all filesharing software from her computer (kindly reminding her that "common filesharing programmes include Limewire, DirectConnect (DC++), eDonkey/eMule and Soulseek"), and that she pass the warning on to others in her household. BT goes on to threaten the woman in question with disconnection, going beyond Virgin Media's recent "education campaign" initiative with the BPI. You can see BT's disconnection threat email in full over on The Register.